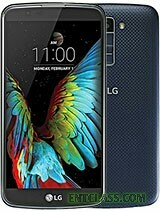 This is yet another smartphone from the South Korean OEM, called LG K10 (2017), after releasing LG Stylus 3. LG K10 was recently launched this year 2016, here is the 2017 version of the LG K10. There's an upgrade in the hardware and software of the phone, as well as a new design. See full specs below.